Jesus seemed to have a similar view of Boyd Packer, for He appeared to His apostle more than once. Years ago I spoke with a highly placed church employee who is now long retired, who had served close to President Packer for many years. He indicated that three times in meetings/gatherings he had heard President Packer declare, as part of his special witness, that he had seen the resurrected Jesus. According to scripture, such appearances do not take place unless the man/woman be pure in heart, living the commandments and retaining a remission of their sins (3 Nephi 19:28). President Packer himself, told his own ward and family, that he knew Jesus’ face when he saw it (see here, second full paragraph after the pic.). My book includes this source and many other testimonies from Brother Packer in which he shared his special witness with the church and the world. In this connection, a side observation is in order although it is hardly mentioned in my book: In his last decade, especially, serving as an apostle of the Lord Jesus Christ, President Packer came under vicious verbal/written attack from wicked men and women. These attacks were found in blogs, newspapers, social media, etc. They most often originated with gay/lesbian activists or sympathizers; those actively promoting the homosexual lifestyle and culture; those calling evil good. These people find the church, with its eternally immovable position on the sanctity of the traditional family and keeping the law of chastity, a favorite target for their hate. They promote the falsehood that sexual orientation issues are the same as civil rights, which is, of course, a great lie that comes from the father of all lies. And because Elder Packer did not fear them, he often warned the faithful members of the Church to give these Satanic voices no heed. These warnings from Brother Packer served to cause the activists more wailing and gnashing of teeth. The contrast is striking and a lesson about the wickedness of the world we now live in. On the one hand, we have an Apostle of the Lord Jesus Christ, with a pure heart and mind, living clean before the Lord, so much so that (as the scripture says “The pure in heart shall see God”) he had seen Him more than once. On the other hand, we have men and women, living after the manner of the world, actively breaking the law of chastity and calling it good, who proclaim to the world that their abominations are good and right and that others should follow their lead or be shouted down as homophobic bigots. They call for the traditional LDS family, patterned after the family of our Father in Heaven, to be redefined according to any corrupt determination one can think of. And so on and so forth. The question seems simple: whose voice shall we listen to and follow? The wicked will and have made their course clear—promote the philosophies of men and immorality. And the righteous continue to humbly walk as disciples of Christ, following those with the mantle and keys who speak for God. 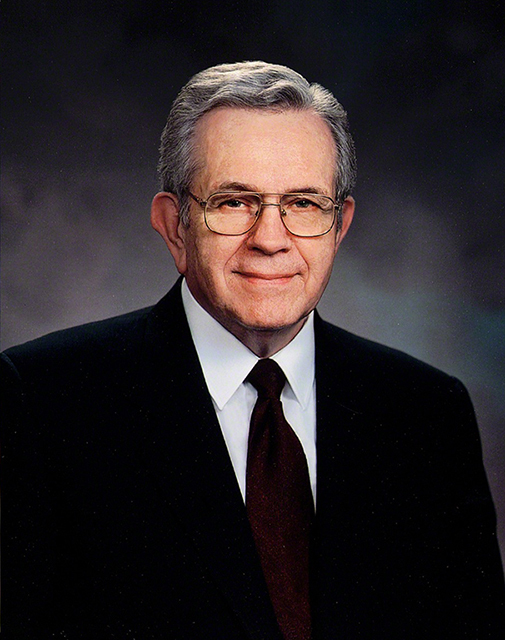 President Packer was interested in proclaiming revealed truth and in exposing falsehood as part of his responsibility as a watchman on the tower. This he did despite all the cunning attacks of the devil’s mortal servants spread throughout society, and some even in the Church. He was steady, stable, anchored, and undeterred in the face of the activists’ angry onslaught, single-mindedly following the direction of his Master, the Savior of the World. We might then ask—what gave him this strength and unwavering purpose? His special witness of Jesus Christ would seem to be near or at the top of the list. He knew; he had that witness. There was no doubt or questioning in him. And as mentioned, there is a chapter reviewing his special witness and how he gained it in my forthcoming book (in September), I Know He Lives: How 13 Special Witnesses Came to Know Jesus Christ.